Since the relaunch of this website in 2010, I’ve started a new job, moved across the nation, traveled quite a bit, and taken on some additional responsibilities in life. I’ve decided, as a result, that I will no longer be updating the website. 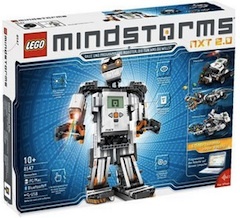 I have made one final update, tweaking a few things here and there and adding my most recent book, The Unofficial LEGO MINDSTORMS NXT 2.0 Inventor’s Guide. I plan to indefinitely leave this website up so that people can continue using it as a resource for finding NXT books. Happy reading and robot building! 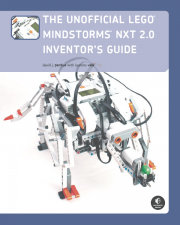 I’m excited to announce that after about two years, I have redesigned the Unofficial LEGO MINDSTORMS NXT Book Repository, turning it from a single webpage into an entire website. Browsing the books should be easier and much more pleasant now. I’d love to hear from NXT fans about what features they’d like to see on this site and if there are any books they’d like me to add. Comments are welcome!